ABSTRACT: Young children living in disadvantaged situations have few opportunities and often few expectations of studying at university. The Children’s University is an ‘early intervention’ initiative to raise higher educational aspirations in primary school children aged 7-14. The program, which began in the UK, has been running in South Australia since 2013 and has rapidly expanded. From its humble beginnings of working with just one school it now works through 100 local primary schools and high schools. The number of young children graduating this year is expected to exceed last year’s 1,100 young children. The session will discuss some of the underlying principles of the initiative and present results from several recent internal and external evaluations of the program. BIOGRAPHY: Alessandro Lovat has been awarded his PhD at the School of Education, thesis title ‘Attrition and New Entry Pahtways: Factors contributing toward attrition for students entering university through new VET entry pathways’. Alex’s work as an educator has spanned 30 years and 7 countries in a variety of roles including two stints as a school Principal. Alex maintains a keen interest in the field of Natural History. His current interest in educational pathway evaluation has stemmed from his work as a TAFE lecturer and pathways coordinator and from his work for the University of Adelaide as an evaluator of the new VET entry pathways. He has also flitted between the VET and Higher Education systems as a student. 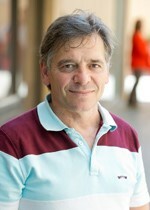 He holds 3 Certificates; 2 in education (University Of Cambridge, TAFE SA) and one in business management (Workskill) and four university qualifications BSc (University of Adelaide), BSc (Hons) (Flinders University), Grad Dip Education (University of Adelaide) and a Masters in Professional Education & Training (Deakin University). This entry was posted in Alumni, Connect, Higher Education Research, Research, Research Seminars, Study and tagged Alessandro Lovat, Alex Lovat, excellence in teaching, lecture, professional developmnet, research, school of education, seminar, teaching careers. Bookmark the permalink.